Control exactly which modules, lessons, and activities students have access to. 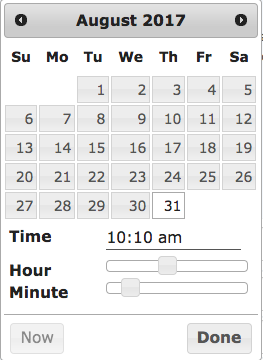 Access Controls allow teachers to determine whether content is Available, Locked, or Scheduled for a specific date and time. Want to schedule a challenge exercise or assessment in advance? Use the Scheduled status to set the exact start and end time and date for a specific activity, lesson, or module. 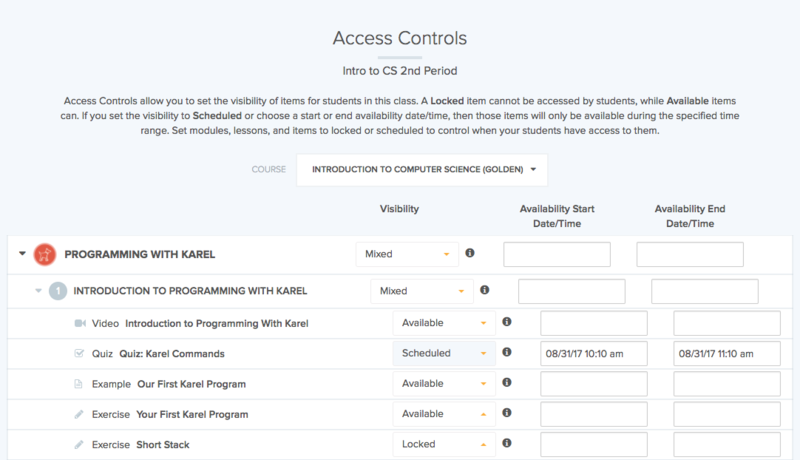 By using Access Controls, teachers can keep their students together as they work through the curriculum on CodeHS, or allow students to work in a self-paced manner. To find the Access Controls tool, click on the Toolbox at the top of any page and click the Access Controls link.